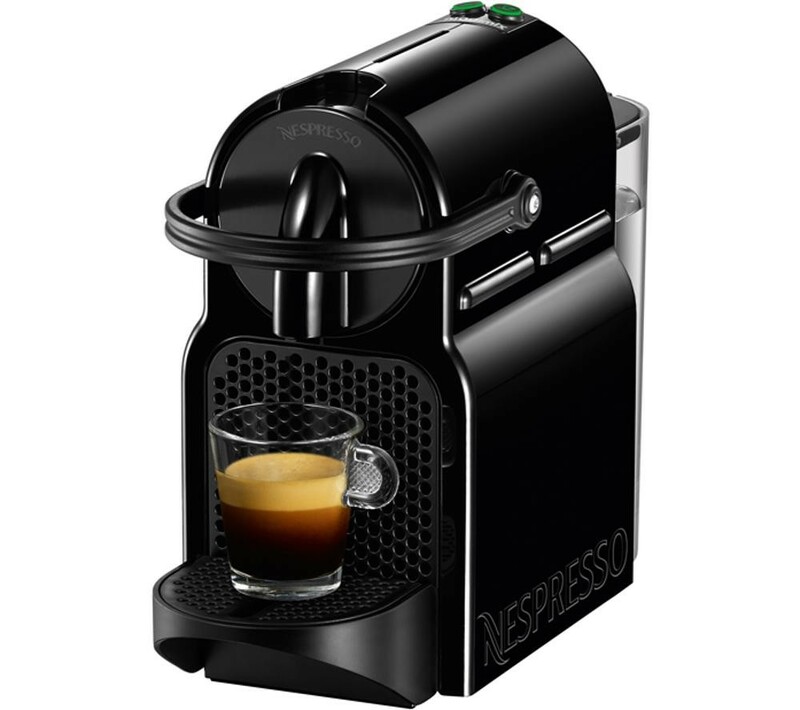 The Magimix 11350 Nespresso Inissia Coffee Machine 19 Bar 1260W in black is the ideal coffee machine for ensuring you and your friends have an amazing tasting drink. The thermoblock technology allows your coffee machine to heat as much water as is required to ensure you get fresh tasting water and a reduced chance of scaling and the large 0.7 litre water tank will provide you with enough water for all your friends and family. The Nespresso pods can be automatically ejected into the used capsule container and then emptied when full so you don't have to remove the used pod everytime and the automatic and programmable water quantity feature enables you to adjust the amount of water needed for your cup size making it great for large and small cups.